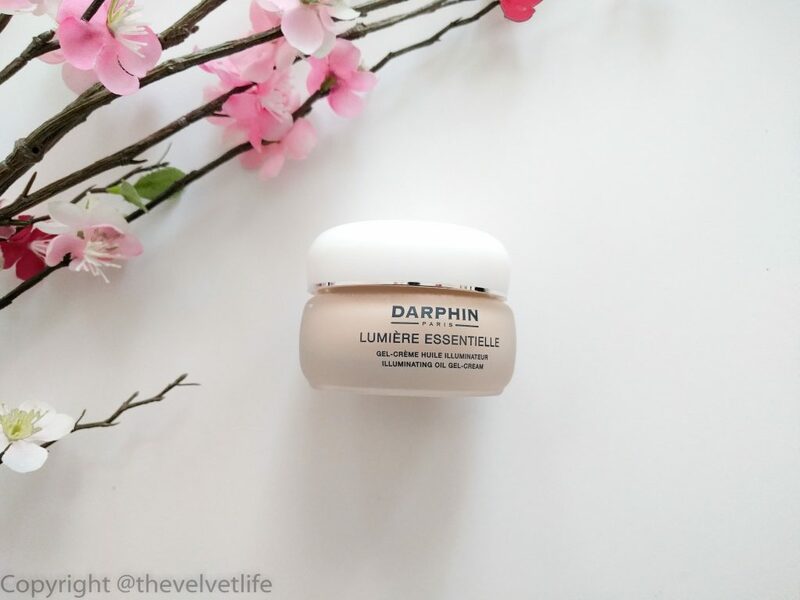 Darphin is a Parisian skincare brand founded by Parisian Kanesiotherapist Pierre Darphin in 1958. 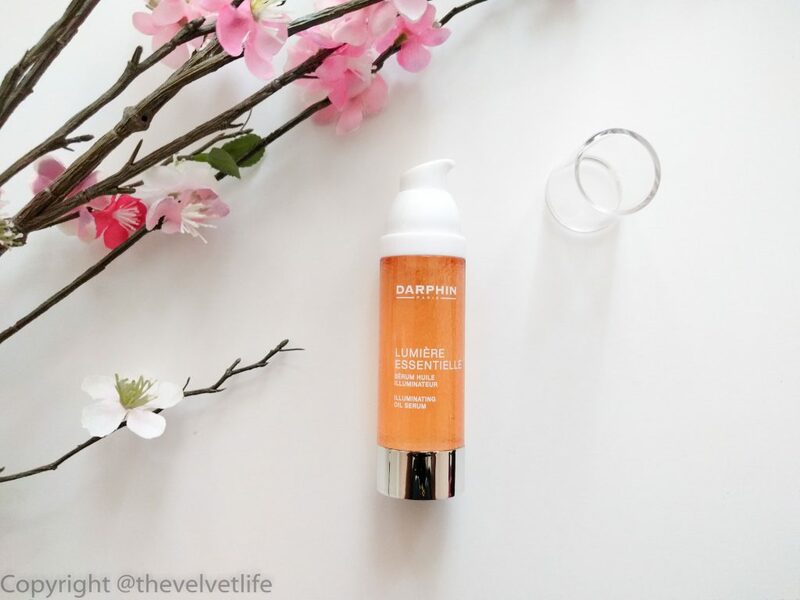 The Darphin products are crafted with most precious botanicals and potent, natural ingredients harvested at the peak of their strength which offer the perfect blend of pleasure and performance. 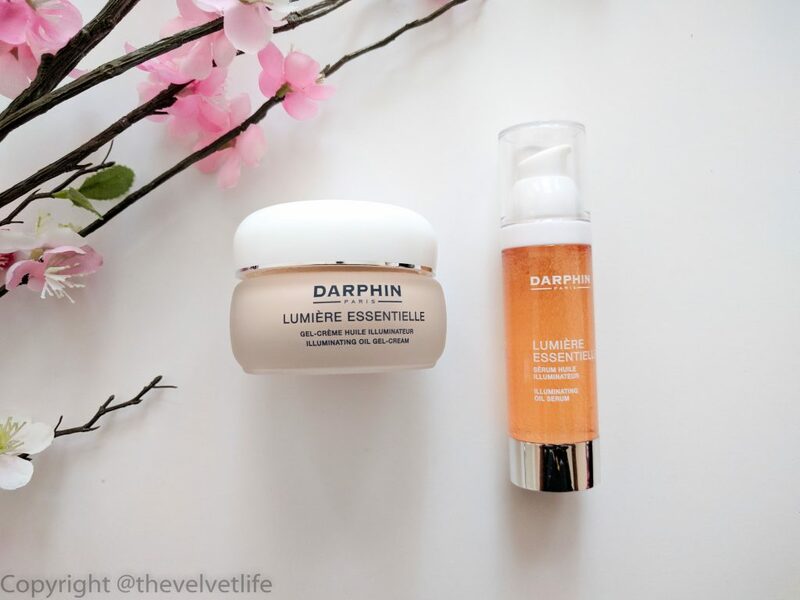 Lumiere Essentielle is a new launch from Darphin which has Illuminating Oil Serum and Illuminating Oil Gel-Cream. 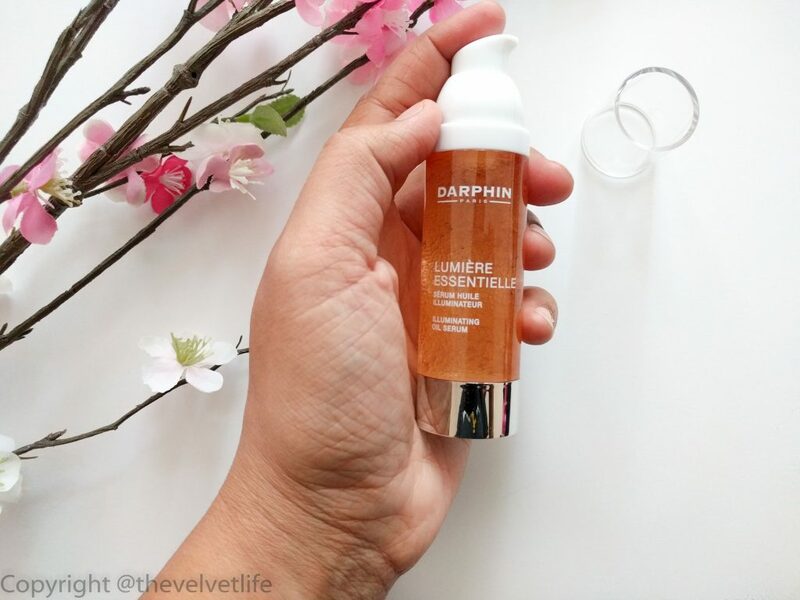 Lumiere Essentielle is described to hydrate and illuminate with a powerful combination of the finest botanicals to help lift the veil of dullness, boost moisture and plump skin for a glowing complexion. At the heart of each product is a blend of 7 meticulously chosen illuminating essential oils: Tangerine, Orange, Neroli, Rose, Ylang-ylang, Cedarwood, and Ginger. 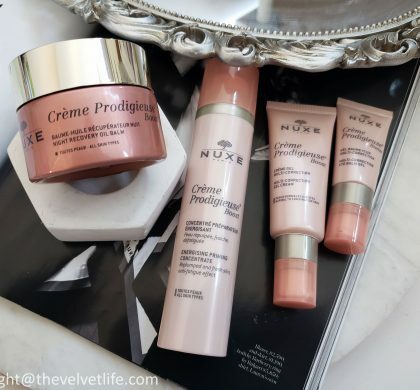 These are combined with a Crystalline serum and Cashmere soft-gel cream, Lumiere Essentielle hybrids reveal skin that blossoms with beauty. Illuminating Oil Serum (CAD $105) is a combination of Illuminating Essential Oil blend and Crystalline Serum. Illuminating Essential Oil blend with 7 essential oils as mentioned above helps illuminate and revitalize the skin. Crystalline serum which contains invigorating marine extract coming from the Mer D’Iroise, off the French coast, Hydrating Hyaluronic Acid and skin renewing Acetyl-Glucosamine. This Crystalline serum helps lift the veil of dullness and infuses moisture. The packaging of this Oil Serum is in a pump bottle. I take two pumps of this serum after cleansing and toning my face and apply it with a gentle sweep across face, neck and decollete. Then I press my hands over the cheeks, forehead, and chin. And then I tap my fingers on the face, neck and decollete as advised with the product details. The two phases of the Illuminating essential oil blend and Crystalline serum are freshly dispensed with each pump for water-weight freshness with the comfort of oil. It provides hydration and illumination after application. 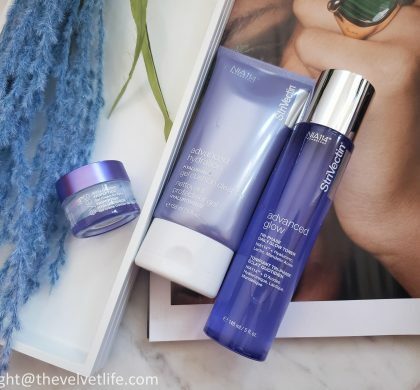 My skin feels hydrated, not oily and radiant. While using this regularly since last two weeks in the night, my skin does feel comfortable and luminous. There is no irritation or breakouts. Actually, I did not even have a single breakout in the last two weeks, I am still keeping my fingers crossed as this happens very few times in a year when I do not have any breakouts for a continuous period of over two weeks. As it is oil serum, it does not leave any residue or oiliness on the face, my skin absorbs it very quickly and then I follow with my moisturizer. Illuminating Oil-Gel Cream(CAD $94) is a combination of Illuminating Essential Oil blend described above and Cashmere soft gel-cream. Cashmere soft gel-cream contains skin-strengthening plant sugars, hydrating Hyaluronic acid, skin-renewing Acetylglucosamine. The Illuminating Essential Oil blend illuminates and revitalizes skin. 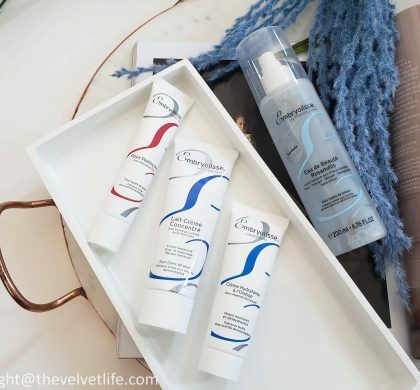 Cashmere soft gel-cream helps lift the veil of dullness, replenishes moisture and helps protect skin’s barrier. When massaged into the skin, this gel-cream transforms into a light oil, thus providing the lightness of gel-cream and comfort of oil. I take a pea size amount of this cream and gently sweep across the face, neck and decollete. From the collarbone, I work upward in lifting motion and then apply slight pressure from cheek to hairline. then I place one palm flat on the forehead and lift toward hairline, alternating hands. This method is described with the product details on the website too. 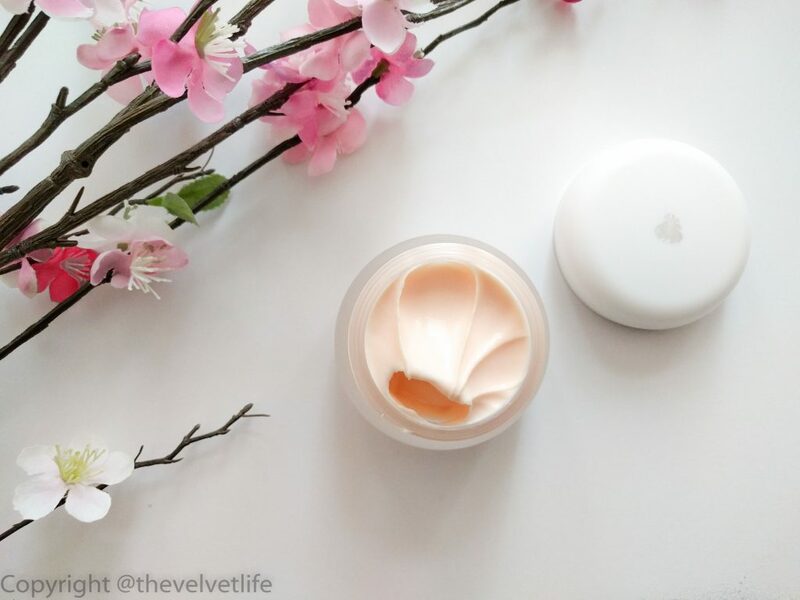 I do feel my skin is supple, glowing and healthy after I use this gel-cream. In the last two weeks, I feel the difference in the glow and my skin feels nourished, not any bits of oil but a natural radiance from within. Overall, I am very satisfied and impressed with the results. I am using these regularly now and sometimes mix and match with my other serums and moisturizers. I am so happy with the results and also with no irritation and breakouts. I would highly recommend these two products for all skin types. I know essential oils can be sometimes difficult and I have experienced it in the past with other products but this blend has worked very well on my skin, these are a keeper for me. Illuminating Oil Serum and Illuminating Oil-Gel Cream are available at BeautyBoutique by Shoppers Drug Mart, Holt Renfrew, and Sephora Canada. *DISCLAIMER – This product was sent to me as part of press package, all views and opinions are 100% honest and based purely on my own experience.